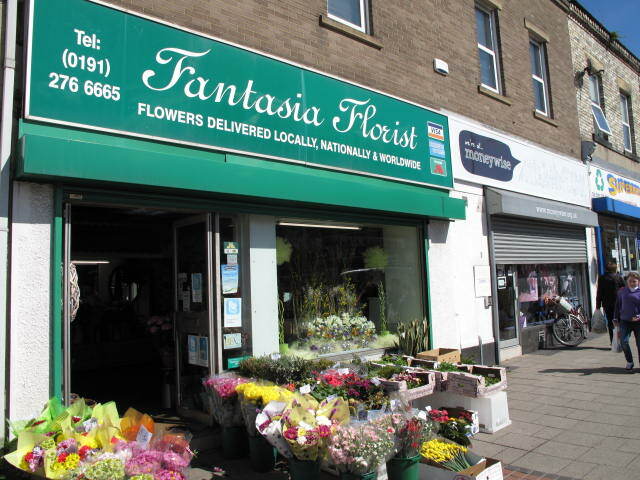 This photograph shows the premises at 185 Shields Road, now occupied by Fantasia Florist, a family business, which has had shops in Heaton and Byker for over twenty five years. The first shop on the site of 185 Shields Road seems to have been Peter Hilton’s grocery store which occupied the site from 1886 to 1889. Its number at this time was actually 271. The road was renumbered around 1890, a not uncommon occurrence in those days. Peter Hilton was born in Belford, Northumberland, and at the time of the 1881 census he was living with his Middlesex (Holborn) born wife, their son and Peter’s sister in Holly Avenue, Jesmond. 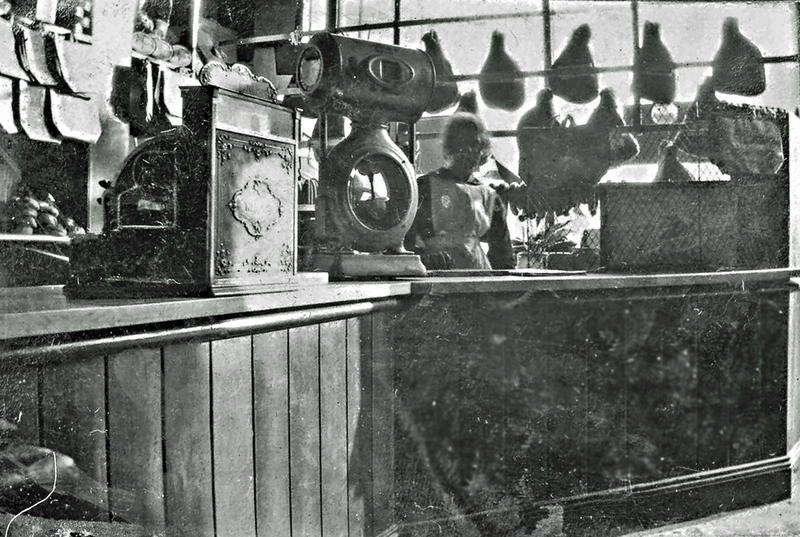 Peter had been a grocer for at least 15 years before opening the Shields Road shop. After his retirement, he lived with his son and daughter in law in Third Avenue, Heaton (1911 Census). The first mention of number 185 Shields Road in the trade directories was in 1890 when, for a couple of years, the shop was George Pfaff’s pork butcher’s. George and his wife were born in Germany and lived next door to the shop. 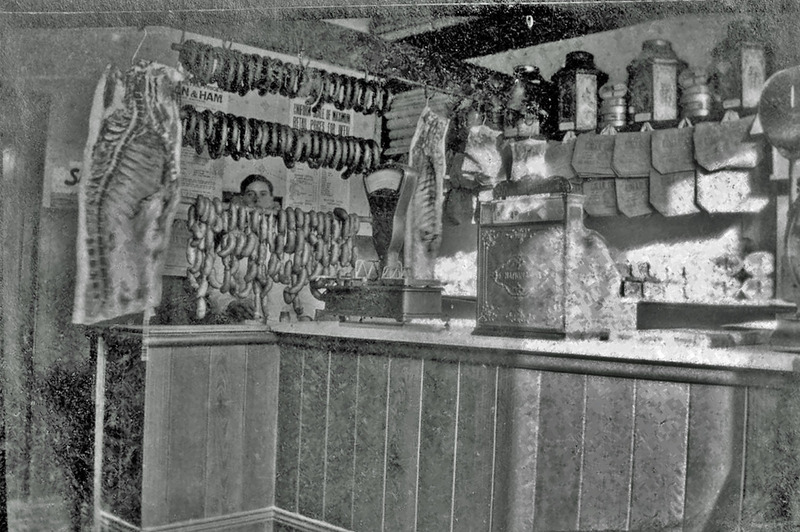 German pork butchers were a feature of British high streets from the mid 19th century. Most of the first wave of immigrants came from a small area around the town of Künzelsau in the Kingdom of Wurttemberg. Nobody is entirely sure what brought so many to Britain but this part of Germany was affected by population growth, agricultural depression, crop failures and the traditional inheritance practice of primogeniture (excluding all but one sibling from taking over the family estate). Many people emigrated and news must have been relayed back home that there was a good living to be made as a butcher in the growing towns and cities of the newly industrialised North of England. Subsequent German immigrants in the 20th century continued the tradition. (See the story of Rudi Kuhnbaum here http://woodhornexhibitions.com/treasures/13.html). 185 Shields Road remained a pork butcher’s under Henry Abel, who like many pork butchers who settled in Britain, was born in Wurttemberg. His wife was also German born but they married in Newcastle in 1896. The Abels were proprietors for about 16 years but gave up the shop during World War One. There were many reports of persecution of Germans and specifically of German pork butchers at around that time including, in 1915, in Byker. The war is certainly a possible reason for Henry and his family leaving Shields Road. 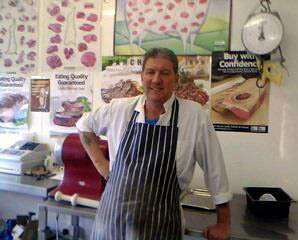 The next proprietor was also a pork butcher but Edgar Couzens (pictured below) was born in East Walton, Norfolk in 1887. 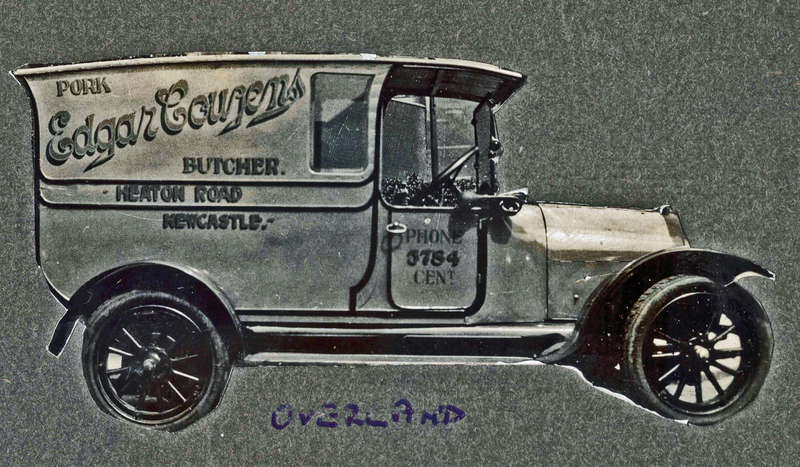 In 1908, he and his brother, Bert, moved to Newcastle, where there were better job prospects, and Edgar trained to be a butcher. He soon opened his own shop on Heaton Road. On 7 February 1916, Edgar joined the 6th Battalion Northumberland Fusiliers Army Veterinary Corps but he seems not to have been called up for active service until December of that year. In the meantime, he married Gwendoline, who’d also moved from Norfolk. They lived on Sefton Avenue and opened this shop at 185 Shields Road. After Edgar was called up, Gwen managed the shop until he returned from service. They later had shops in both Chillingham Road and on Raby Street in Byker. Edgar died in 1971 aged 83 while living at Charminster Gardens, North Heaton. Gwen died in 1986, aged 96. Their grandson, Mike Couzens, has provided us with fascinating information about the life of his grandparents and other family members. We are especially fortunate in that Edgar was a keen amateur photographer and over the coming months we’ll be featuring many of his photos along with information provided by Mike. 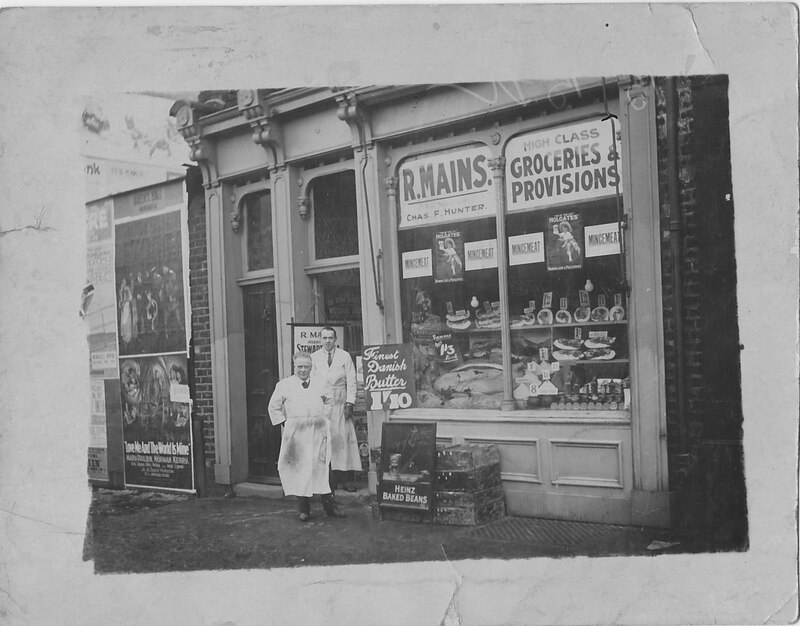 In 1927 185 Shields Road is listed as Fisckhoff and Sons, egg merchants, but the following year Robert Mains’ grocery store, pictured above, was established. The poster on the left suggests the photograph dates from soon after it opened. It advertises the film Love me and the World is Mine, which starred Mary Philbin, Norman Kerry and Betty Compson and was released in 1928. The other name in the window is that of Charles Frederick Hunter. There were several people of that name living in the Newcastle area at this time, including more than one in Heaton itself. However, although the lettering between the two names is difficult to make out, it says ‘Ten’ (we think) ‘years with’ and so it seems most likely that it refers to a provisions merchant who lived in Smallburn, Ponteland. It looks as though Robert worked for him before setting up on his own and that Hunter’s reputation was such that it enhanced his own standing. The address isn’t listed in the directories from 1930 until 1936. 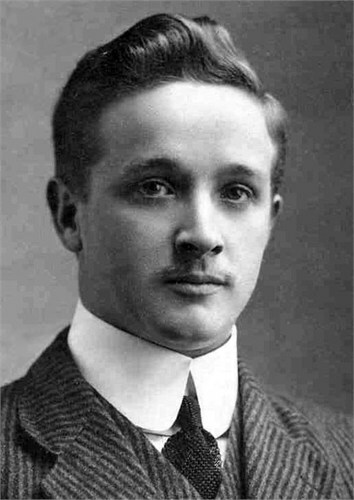 S Grossman (another German name), woodworker, was the occupier from then until 1940. It then seems to have been empty for a number of years. Did it just become dilapidated or was it perhaps damaged in the war? Either way it was eventually rebuilt. From 1956 the shop was called Home Comforts and described as a linoleum merchants. 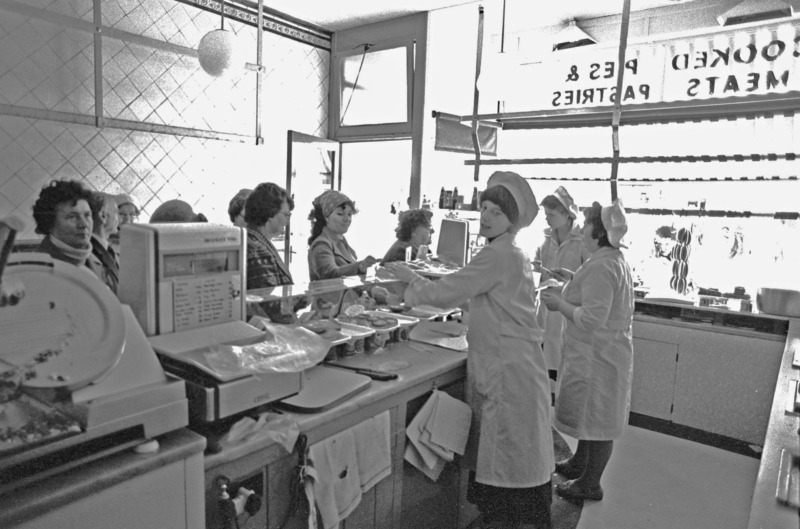 The proprietor in 1959 was given as P Bransky (a name of Polish origin). Home Comforts seems to have been successful. It was still there in 1968, benefitting from greater post war affluence which led to more expenditure on the home. The shop occupying the premises is now Fantasia Florists, a family firm headed by Shirley Ovington. Shirley is Newcastle born and bred. The family has been running florists for twenty five years including, in the past, two on Chillingham Road, in premises now occupied by the Pine Shop and Subway. Shirley bought the lease of 185 Shields Road from a photographer and thinks that the shop was once a bakers, as there are still cooling vents for the oven at the back of the shop. In the picture below, you can clearly see that the shop building is more modern than its neighbours. Perhaps more than anything, the story of 185 Shields Road shows that migration to the East End is by no means a new phenomenon. The population of Heaton in the mid 19th century numbered only a few hundred and so almost everyone who made it the bustling suburb it is now had origins outside the area – whether elsewhere in Newcastle or the North East or, as was often the case, much further afield. And this is where we need your help. Can you add to the information here? 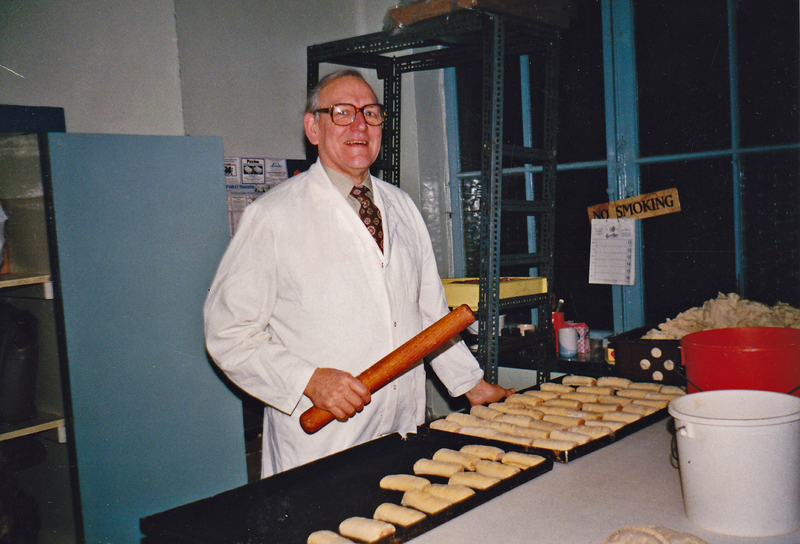 Do you remember Home Comforts, a bakery or the photographer’s or any other shop there’s been on the site? 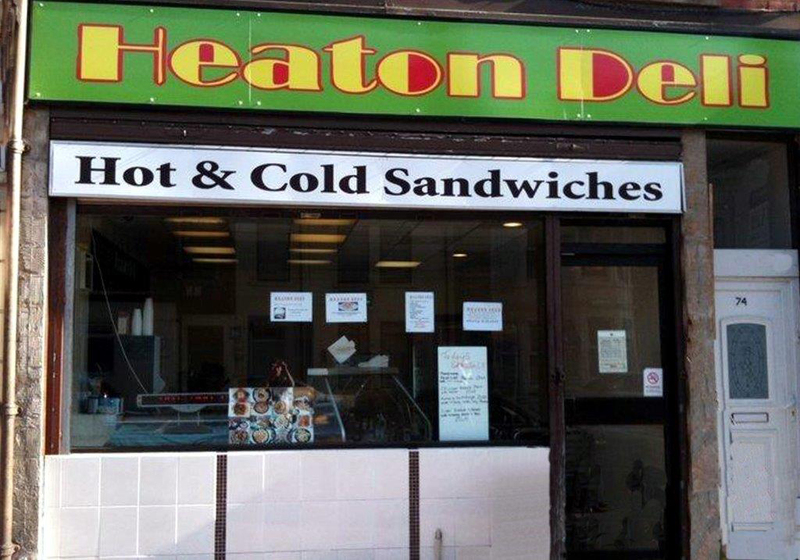 Do you have any memories or photos of Heaton shops that you’d like to share? If so, we’d love to hear from you. Contact chris.jackson@heatonhistorygroup.org or leave a comment here. 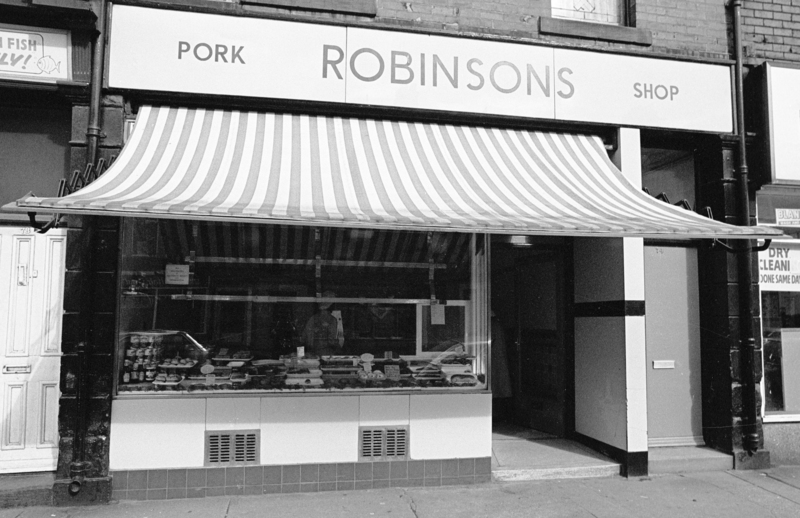 This entry was posted in Research and tagged butcher, Byker, Charminster Gardens, Chillingham Road, Edgar Couzens, Fantasia Florist, florist, George Pfaff, German pork butcher, grocer, Heaton Road, Henry Abel, Home Comforts, Mowbray Street, Peter Hilton, Robert Mains, Rudi Kuhnbaum, Sefton Avenue, Shields Road, shops, Third Avenue on May 17, 2013 by oldheaton.